the Miller Center at the Centereach building, and include a short presentation on a specifi c small business/workplace topic. Visit http://www.millerbusinesscenter.org/miller-businessmornings/ for more information. 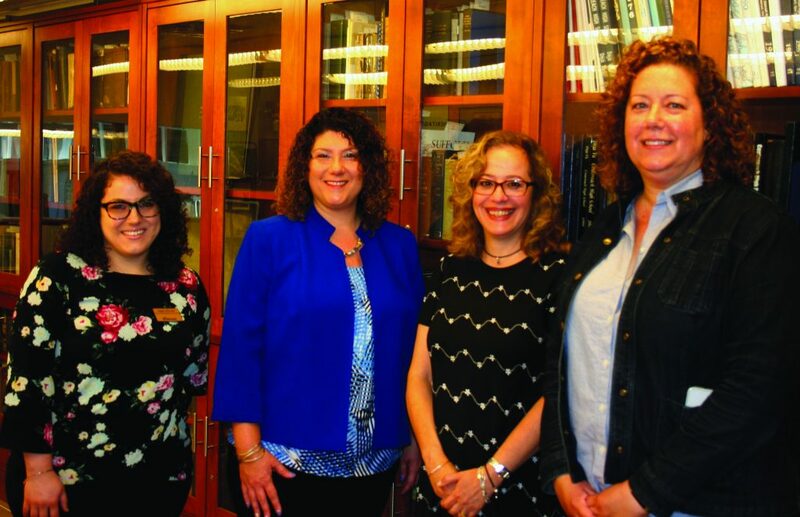 Pictured l-r: Angela Perrone, senior business development representative and Lisa Mitnick, senior business development manager, People’s Alliance Federal Credit Union with Sophia Serlis-McPhillips, library director, MCPL and Elizabeth Malafi , coordinator, Miller Business Center.